"Bukharin" redirects here. For the Russian anarchist, see Mikhail Bakunin. For the Jewish ethnic group, see Bukharan Jews. This name uses Eastern Slavic naming customs; the patronymic is Ivanovich and the family name is Bukharin. Nikolai Ivanovich Bukharin[a] (9 October [O.S. 27 September] 1888 – 15 March 1938) was a Bolshevik revolutionary, Soviet Union politician and prolific author on revolutionary theory. As a young man, he spent six years in exile working closely with fellow exiles Vladimir Lenin and Leon Trotsky. After the revolution of February 1917, he returned to Moscow, where his Bolshevik credentials earned him a high rank in the Bolshevik party and after the October Revolution became editor of the party newspaper Pravda. Within the Bolshevik Party, Bukharin was initially a left communist, but gradually moved from the left to the right from 1921. His strong support for and defence of the New Economic Policy (NEP) eventually saw him lead the Right Opposition. By late 1924, this stance had positioned Bukharin favourably as Joseph Stalin's chief ally, with Bukharin soon elaborating Stalin's new theory and policy of socialism in one country. Together, Bukharin and Stalin ousted Trotsky, Grigory Zinoviev and Lev Kamenev from the party at the XVth Communist Party Congress in December 1927. From 1926 to 1929, Bukharin enjoyed great power as General Secretary of the Comintern's executive committee. However, Stalin's decision to proceed with collectivisation drove the two men apart and Bukharin was expelled from the Politburo in 1929. When the Great Purge began in 1936, Stalin looked for any pretext to liquidate his former allies and rivals for power and some of Bukharin's letters, conversations and tapped phone-calls indicated disloyalty. Arrested in February 1937, he was charged with conspiring to overthrow the Soviet state. After a show trial that alienated many Western communist sympathisers, he was executed in March 1938. 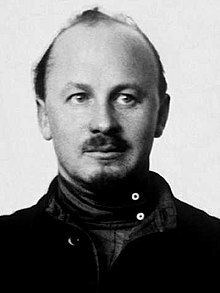 Nikolai Bukharin was born on September 27 (October 9, new style), 1888, in Moscow. He was the second son of two schoolteachers, Ivan Gavrilovich Bukharin and Liubov Ivanovna Bukharina. His childhood is vividly recounted in his mostly autobiographic novel How It All Began. Bukharin's political life began at the age of sixteen with his lifelong friend Ilya Ehrenburg when he participated in student activities at Moscow University related to the Russian Revolution of 1905. He joined the Russian Social Democratic Labour Party in 1906, becoming a member of the Bolshevik faction. With Grigori Sokolnikov, he convened the 1907 national youth conference in Moscow, which was later considered the founding of Komsomol. By age thirty, he was a member of the Moscow Committee of the party. The committee was heavily infiltrated by the Tsarist secret police, the Okhrana. As one of its leaders, Bukharin quickly became a person of interest to them. During this time, he became closely associated with Valerian Obolensky and Vladimir Smirnov, and also met his future first wife, Nadezhda Mikhailovna Lukina, his cousin and the sister of Nikolai Lukin, who was also a member of the party. They married soon after their exile, in 1911. In 1911, after a brief imprisonment, Bukharin was exiled to Onega in Arkhangelsk but soon escaped to Hanover, where he stayed for a year before visiting Kraków in 1912 to meet Vladimir Lenin for the first time. During the exile, he continued his education and wrote several books that established him as a major Bolshevik theorist in his 20s. His work, Imperialism and World Economy influenced Lenin, who freely borrowed from it in his larger and better-known work, Imperialism, the Highest Stage of Capitalism. Nevertheless, he and Lenin often had hot disputes on theoretical issues and Bukharin's closeness with the European Left and his anti-statist tendencies. Bukharin developed an interest in the works of Austrian Marxists and non-Marxist economic theorists, such as Aleksandr Bogdanov, who deviated from Leninist positions. Also, while in Vienna in 1913, he helped the Georgian Bolshevik Joseph Stalin write an article, Marxism and the National Question, at Lenin's request. In October 1916, while based in New York City, he edited the newspaper Novy Mir (New World) with Leon Trotsky and Alexandra Kollontai. When Trotsky arrived in New York in January 1917, Bukharin was the first to greet him (as Trotsky's wife recalled, "with a bear hug and immediately began to tell them about a public library which stayed open late at night and which he proposed to show us at once" dragging the tired Trotskys across town "to admire his great discovery"). At the news of the Russian Revolution of February 1917, exiled revolutionaries from around the world began to flock back to the homeland. Trotsky left New York on March 27, 1917, sailing for St. Petersburg. Bukharin left New York in early April and returned to Russia by way of Japan (where he was temporarily detained by local police), arriving in Moscow in early May 1917. Politically, the Bolsheviks in Moscow remained a definite minority to the Mensheviks and Socialist Revolutionaries. However, as soldiers and workers began to be attracted to the Lenin's promise to bring peace by withdrawing from the war, membership in the Bolshevik faction began to skyrocket—from 24,000 members in February 1917 to 200,000 members in October 1917. Upon his return to Moscow, Bukharin resumed his seat on the Moscow City Committee and also became a member of the Moscow Regional Bureau of the party. To complicate matters further, the Bolsheviks themselves were divided into a right wing and a left wing. The right-wing of the Bolsheviks, including Aleksei Rykov and Viktor Nogin, controlled the Moscow Committee, while the younger left-wing Bolsheviks, including Vladimir Smirnov, Valerian Osinsky, Georgii Lomov, Nikolay Yakovlev, Ivan Kizelshtein and Ivan Stukov, were members of the Moscow Regional Bureau. On October 10, 1917, Bukharin, along with two other Moscow Bolsheviks: Andrei Bubnov and Grigori Sokolnikov were elected to the Central Committee. This strong representation on the Central Committee was a direct recognition of the fact that the Moscow Bureau had grown in importance. Whereas the Bolsheviks had previously been a minority in Moscow behind the Mensheviks and the Socialist Revolutionaries, by September 1917 the Bolsheviks were in the majority in Moscow. Furthermore, the Moscow Regional Bureau was formally responsible for the party organizations in each of the thirteen (13) central provinces around Moscow—which accounted for 37% of the whole population of Russia and 20% of the Bolshevik membership. While no one dominated revolutionary politics in Moscow during the October Revolution as Trotsky did in St. Petersburg, Bukharin certainly was the most prominent leader in Moscow. During the October Revolution, Bukharin drafted, introduced, and defended the revolutionary decrees of the Moscow Soviet. Bukharin then represented the Moscow Soviet in their report to the revolutionary government in Petrograd. Following the October Revolution, Bukharin became the editor of the party's newspaper, Pravda. Bukharin believed passionately in the promise of world revolution. In the Russian turmoil near the end of World War I, when a negotiated peace with the Central Powers was looming, he demanded a continuance of the war, fully expecting to incite all the foreign proletarian classes to arms. Even as he was uncompromising toward Russia's battlefield enemies, he also rejected any fraternization with the capitalist Allied powers: he reportedly wept when he learned of official negotiations for assistance. Bukharin emerged as the leader of the Left Communists in bitter opposition to Lenin's decision to sign the Treaty of Brest-Litovsk. In this wartime power struggle, he was urged by some of his more fiery allies to have Lenin arrested. He rejected this idea immediately, but the issue would later become the basis of Stalinist charges against him, culminating in the show trial of 1938. After the ratification of the treaty, Bukharin resumed his responsibilities within the party. In March 1919, he became a member of the Comintern's executive committee and a candidate member of the Politburo. During the Civil War period, he published several theoretical economic works, including the popular primer The ABC of Communism (with Yevgeni Preobrazhensky, 1919), and the more academic Economics of the Transitional Period (1920) and Historical Materialism (1921). By 1921, he changed his position and accepted Lenin's emphasis on the survival and strengthening of the Soviet state as the bastion of the future world revolution. He became the foremost supporter of the New Economic Policy (NEP), to which he was to tie his political fortunes. Considered by the left communists as a retreat from socialist policies, the NEP reintroduced money, allowed private ownership and capitalistic practices in agriculture, retail trade, and light industry while the state retained control of heavy industry. While some[who?] have criticized Bukharin for this apparent U-turn, his change of emphasis can be partially explained by the necessity for peace and stability following seven years of war in Russia, and the failure of communist revolutions in Central and Eastern Europe, which ended the prospect of worldwide revolution. After Lenin's death in 1924, Bukharin became a full member of the Politburo. In the subsequent power struggle among Leon Trotsky, Grigory Zinoviev, Lev Kamenev and Stalin, Bukharin allied himself with Stalin, who positioned himself as centrist of the Party and supported the NEP against the Left Opposition, which wanted more rapid industrialization, escalation of class struggle against the kulaks (wealthier peasants), and agitation for world revolution. It was Bukharin who formulated the thesis of "Socialism in One Country" put forth by Stalin in 1924, which argued that socialism (in Marxist theory, the transitional stage from capitalism to communism) could be developed in a single country, even one as underdeveloped as Russia. This new theory stated that revolution need no longer be encouraged in capitalist countries since Russia could and should achieve socialism alone. The thesis would become a hallmark of Stalinism. Trotsky, the prime force behind the Left Opposition, was defeated by a triumvirate formed by Stalin, Zinoviev, and Kamenev, with the support of Bukharin. At the Fourteenth Party Congress in December 1925, Stalin openly attacked Kamenev and Zinoviev, revealing that they had asked for his aid in expelling Trotsky from the Party. By 1926, the Stalin-Bukharin alliance ousted Zinoviev and Kamenev from the Party leadership, and Bukharin enjoyed the highest degree of power during the 1926–1928 period. He emerged as the leader of the Party's right wing, which included two other Politburo members (Alexei Rykov, Lenin's successor as Chairman of the Council of People's Commissars and Mikhail Tomsky, head of trade unions) and he became General Secretary of the Comintern's executive committee in 1926. However, prompted by a grain shortage in 1928, Stalin reversed himself and proposed a program of rapid industrialization and forced collectivization because he believed that the NEP was not working fast enough. Stalin felt that in the new situation the policies of his former foes–Trotsky, Zinoviev, and Kamenev—were the right ones. Bukharin was worried by the prospect of Stalin's plan, which he feared would lead to “military-feudal exploitation” of the peasantry. Bukharin did want the Soviet Union to achieve industrialization but he preferred the more moderate approach of offering the peasants the opportunity to become prosperous, which would lead to greater grain production for sale abroad. Bukharin pressed his views throughout 1928 in meetings of the Politburo and at the Communist Party Congress, insisting that enforced grain requisition would be counterproductive, as War Communism had been a decade earlier. Bukharin's support for the continuation of the NEP was not popular with higher Party cadres, and his slogan to peasants, "Enrich yourselves!" and proposal to achieve socialism "at snail's pace" left him vulnerable to attacks first by Zinoviev and later by Stalin. Stalin attacked Bukharin's views, portraying them as capitalist deviations and declaring that the revolution would be at risk without a strong policy that encouraged rapid industrialization. Having helped Stalin achieve unchecked power against the Left Opposition, Bukharin found himself easily outmaneuvered by Stalin. Yet Bukharin played to Stalin's strength by maintaining the appearance of unity within the Party leadership. Meanwhile, Stalin used his control of the Party machine to replace Bukharin's supporters in the Rightist power base in Moscow, trade unions, and the Comintern. Bukharin attempted to gain support from earlier foes including Kamenev and Zinoviev who had fallen from power and held mid-level positions within the Communist party. The details of his meeting with Kamenev, to whom he confided that Stalin was "Genghis Khan" and changed policies to get rid of rivals, were leaked by the Trotskyist press and subjected him to accusations of factionalism. Eventually, Bukharin lost his position in the Comintern and the editorship of Pravda in April 1929 and he was expelled from the Politburo on 17 November of that year. Bukharin was forced to renounce his views under pressure. He wrote letters to Stalin pleading for forgiveness and rehabilitation, but through wiretaps of Bukharin's private conversations with Stalin's enemies, Stalin knew Bukharin's repentance was insincere. International supporters of Bukharin, Jay Lovestone of the Communist Party USA among them, were also expelled from the Comintern. They formed an international alliance to promote their views, calling it the International Communist Opposition, though it became better known as the Right Opposition, after a term used by the Trotskyist Left Opposition in the Soviet Union to refer to Bukharin and his supporters there. In the brief period of thaw in 1934–1936, Bukharin was politically rehabilitated and was made editor of Izvestia in 1934. There, he consistently highlighted the dangers of fascist regimes in Europe and the need for "proletarian humanism". One of his first decisions as editor was to invite Boris Pasternak to contribute to the newspaper and sit in on editorial meetings. Pasternak described Bukharin as "a wonderful, historically extraordinary man, but fate has not been kind to him." They first met during the lying-in-state of the Soviet police chief, Vyacheslav Menzhinsky in May 1934, when Pasternak was seeking help for his fellow poet, Osip Mandelstam, who had been arrested - though at that time neither Pasternak nor Bukharin knew why. Bukharin had acted as Mandelstam's political protector since 1922. According to Mandelstam's wife, Nadezhda, "M. owed him all the pleasant things in his life. His 1928 volume of poetry would never have come out without the active intervention of Bukharin. The journey to Armenia, our apartment and ration cards, contracts for future volumes - all this was arranged by Bukharin." Bukharin wrote to Stalin, pleading clemency for Mandelstam, and appealed personally to the head of the NKVD, Genrikh Yagoda. It was Yagoda who told him about Mandelstam's Stalin Epigram, after which he refused to have any further contact with Nadezhda Mandelstam, who had lied to him by denying that her husband had written "anything rash". - but continued to befriend Pasternak. Soon after Mandelstam's arrest, Bukharin was delegated to prepare the official report on poetry for the First Soviet Writers' Congress, in August 1934. He could not any longer risk mentioning Mandelstam in his speech to the congress, but did devote a large section of his to Pasternak, whom he described as "remote from current affairs...a singer of the old intelligensia...delicate and subtle...a wounded and easily vulnerable soul. He is the embodiment of chaste but self-absorbed laboratory craftsmanship..." His speech was greeted with wild applause, though it greatly offended some of the listeners, such as the communist poet Semyon Kirsanov, who complained: "according to Bukharin, all the poets who have used their verses to participate in political life are out of date, but the others are not out of date, the so-called pure (and not so pure) lyric poets." When Bukharin was arrested two years later, Boris Pasternak displayed extraordinary courage by having a letter delivered to Bukharin's wife saying that he was convinced of his innocence. Stalin's collectivization policy proved to be as disastrous as Bukharin predicted, but Stalin had by then achieved unchallenged authority in the party leadership. However, there were signs that moderates among Stalin's supporters sought to end official terror and bring a general change in policy, now that mass collectivization was largely completed and the worst was over. Although Bukharin had not challenged Stalin since 1929, his former supporters, including Martemyan Ryutin, drafted and clandestinely circulated an anti-Stalin platform, which called Stalin the "evil genius of the Russian Revolution". However, Sergey Kirov, First Secretary of the Leningrad Regional Committee was assassinated in Leningrad in December 1934, and his death was used by Stalin as a pretext to launch the Great Purge, in which about a million people were to perish as Stalin eliminated all past and potential opposition to his authority. Some historians now believe that Kirov's assassination in 1934 was arranged by Stalin himself or at least that there is sufficient evidence to plausibly posit such a conclusion. After Kirov's assassination, the NKVD charged an ever-growing group of former oppositionists with Kirov's murder and other acts of treason, terrorism, sabotage, and espionage. In February 1936, shortly before the purge started in earnest, Bukharin was sent to Paris by Stalin to negotiate the purchase of the Marx and Engels archives, held by the German Social Democratic Party (SPD) before its dissolution by Hitler. He was joined by his young wife Anna Larina, which therefore opened the possibility of exile, but he decided against it, saying that he could not live outside the Soviet Union. Bukharin, who had been forced to follow the Party line since 1929, confided to his old friends and former opponents his real view of Stalin and his policy. His conversations with Boris Nicolaevsky, a Menshevik leader who held the manuscripts on behalf of the SPD, formed the basis of "Letter of an Old Bolshevik", which was very influential in contemporary understanding of the period (especially the Ryutin Affair and the Kirov murder) although there are doubts about its authenticity. According to Nicolaevsky, Bukharin spoke of "the mass annihilation of completely defenseless men, with women and children" under forced collectivization and liquidation of kulaks as a class that dehumanized the Party members with "the profound psychological change in those communists who took part in the campaign. Instead of going mad, they accepted terror as a normal administrative method and regarded obedience to all orders from above as a supreme virtue. ... They are no longer human beings. They have truly become the cogs in a terrible machine." Yet to another Menshevik leader, Fyodor Dan, he confided that Stalin became "the man to whom the Party granted its confidence" and "is a sort of a symbol of the Party" even though he "is not a man, but a devil." In Dan's account, Bukharin's acceptance of the Soviet Union's new direction was thus a result of his utter commitment to Party solidarity. To André Malraux, he also confided, "Now he is going to kill me". To his boyhood friend, Ilya Ehrenburg, he expressed the suspicion that the whole trip was a trap set up by Stalin. Indeed, his contacts with Mensheviks during this trip were to feature prominently in his trial. Following the trial and execution of Zinoviev, Kamenev, and other leftist Old Bolsheviks in 1936, Bukharin and Rykov were arrested on 27 February 1937 following a plenum of the Central Committee and were charged with conspiring to overthrow the Soviet state. Bukharin was tried in the Trial of the Twenty One on 2–13 March 1938 during the Great Purge, along with ex-premier Alexei Rykov, Christian Rakovsky, Nikolai Krestinsky, Genrikh Yagoda, and 16 other defendants alleged to belong to the so-called "Bloc of Rightists and Trotskyites". In a trial meant to be the culmination of previous show trials, it was now alleged that Bukharin and others sought to assassinate Lenin and Stalin from 1918, murder Maxim Gorky by poison, partition the Soviet Union and hand out her territories to Germany, Japan, and Great Britain. Even more than earlier Moscow show trials, Bukharin's trial horrified many previously sympathetic observers as they watched allegations become more absurd than ever and the purge expand to include almost every living Old Bolshevik leader except Stalin. For some prominent communists such as Bertram Wolfe, Jay Lovestone, Arthur Koestler, and Heinrich Brandler, the Bukharin trial marked their final break with communism and even turned the first three into passionate anti-Communists eventually. While Anastas Mikoyan and Vyacheslav Molotov later claimed that Bukharin was never tortured and his letters from prison do not give the suggestion that he was tortured, it is also known that his interrogators were instructed with the order: "beating permitted". Bukharin held out for three months, but threats to his young wife and infant son, combined with "methods of physical influence" wore him down. But when he read his confession amended and corrected personally by Stalin, he withdrew his whole confession. The examination started all over again, with a double team of interrogators. Bukharin's confession and his motivation became subject of much debate among Western observers, inspiring Koestler's acclaimed novel Darkness at Noon and a philosophical essay by Maurice Merleau-Ponty in Humanism and Terror. His confessions were somewhat different from others in that while he pleaded guilty to the "sum total of crimes," he denied knowledge when it came to specific crimes. Some astute observers noted that he would allow only what was in the written confession and refuse to go any further. There are several interpretations of Bukharin's motivations (besides being coerced) in the trial. Koestler and others viewed it as a true believer's last service to the Party (while preserving the little amount of personal honor left) whereas Bukharin biographer Stephen Cohen and Robert Tucker saw traces of Aesopian language, with which Bukharin sought to turn the table into an anti-trial of Stalinism (while keeping his part of the bargain to save his family). While his letters to Stalin – he wrote 34 very emotional and desperate letters tearfully protesting his innocence and professing his loyalty – suggest a complete capitulation and acceptance of his role in the trial, it contrasts with his actual conduct in the trial. Bukharin himself speaks of his "peculiar duality of mind" in his last plea, which led to "semi-paralysis of the will" and Hegelian "unhappy consciousness", which likely stemmed not only from his knowledge of the ruinous reality of Stalinism (although he could not of course say so in the trial) but also of the impending threat of fascism. "the monstrousness of my crime is immeasurable especially in the new stage of struggle of the U.S.S.R. May this trial be the last severe lesson, and may the great might of the U.S.S.R. become clear to all." The state prosecutor Vyshinsky characterized Bukharin as an "accursed crossbreed of fox and pig" who supposedly committed a "whole nightmare of vile crimes". While in prison, he wrote at least four book-length manuscripts including a lyrical autobiographical novel, How It All Began, philosophical treatise Philosophical Arabesques, a collection of poems, and Socialism and Its Culture – all of which were found in Stalin's archive and published in the 1990s. Among other intercessors, the French author and Nobel laureate Romain Rolland wrote to Stalin seeking clemency, arguing that "an intellect like that of Bukharin is a treasure for his country." He compared Bukharin's situation to that of the great chemist Antoine Lavoisier who was guillotined during the French Revolution: "We in France, the most ardent revolutionaries... still profoundly grieve and regret what we did. ... I beg you to show clemency." He had earlier written to Stalin in 1937, "For the sake of Gorky I am asking you for mercy, even if he may be guilty of something," to which Stalin noted: "We must not respond." Bukharin was shot on 15 March 1938, but the announcement of his death was overshadowed by the Nazi Anschluss of Austria. According to Zhores and Roy Medvedev in The Unknown Stalin (2006), Bukharin's last message to Stalin stated "Koba, why do you need me to die? ", which was written in a note to Stalin just before his execution. "Koba" was Stalin's nom de guerre, and Bukharin's use of it was a sign of how close the two had once been. The note was allegedly found still in Stalin's desk after his death in 1953. This anecdote has been disputed due to inconsistencies in its reporting from various sources, however, particularly by professor Grover Furr. Despite the promise to spare his family, Bukharin's wife, Anna Larina, was sent to a labor camp, but she survived to see her husband officially rehabilitated by the Soviet state under Mikhail Gorbachev in 1988. Speaking of the young C.C. members, I wish to say a few words about Bukharin and Pyatakov. They are, in my opinion, the most outstanding figures (among the youngest ones), and the following must be borne in mind about them: Bukharin is not only a most valuable and major theorist of the Party; he is also rightly considered the favourite of the whole Party, but his theoretical views can be classified as fully Marxist only with great reserve, for there is something scholastic about him (he has never made a study of the dialectics, and, I think, never fully understood it) ... Both of these remarks, of course, are made only for the present, on the assumption that both these outstanding and devoted Party workers fail to find an occasion to enhance their knowledge and amend their one-sidedness. Bukharin made several notable contributions to Marxist–Leninist thought, most notably The Economics of the Transition Period (1920) and his prison writings, Philosophical Arabesques, (which clearly reveal Bukharin had corrected the 'one-sidedness' of his thought[how? ]), as well as being a founding member of the Soviet Academy of Arts and Sciences, and a keen botanist. His primary contributions to economics were his critique of marginal utility theory, his analysis of imperialism, and his writings on the transition to communism in the Soviet Union. His ideas, especially in economics and the question of market-socialism, later became highly influential in Chinese market-socialism and Deng Xiaoping's reforms. British author Martin Amis argues that Bukharin was perhaps the only major Bolshevik to acknowledge "moral hesitation" by questioning, even in passing, the violence and sweeping reforms of the early Soviet Union. Amis writes that Bukharin said "during the Civil War he had seen 'things that I would not want even my enemies to see'." 1927: The World Revolution and the U.S.S.R.
1930: Finance Capital in Papal Robes. A Challenge! 1934: Poetry, Poetics and the Problems of Poetry in the U.S.S.R.
1937-38: How It All Began, a largely autobiographical novel, written in prison and first published in English in 1998. Bukharin was a cartoonist who left many cartoons of contemporary Soviet politicians. The renowned artist Konstantin Yuon once told him: "Forget about politics. There is no future in politics for you. Painting is your real calling." His cartoons are sometimes used to illustrate the biographies of Soviet officials. Russian historian Yury Zhukov stated that Nikolai Bukharin's portraits of Joseph Stalin were the only ones drawn from the original, not from a photograph. ^ a b Cohen 1980, p. 6. ^ Lenin wrote a preface to the book of Bukharin Imperialism and the World Economy (Lenin Collected Works, Moscow, Volume 22, pages 103–107). ^ a b Cohen 1980, p. 44. ^ Isaac Deutscher, The Prophet Armed: Trotsky 1879–1921 (Vintage Books: New York, 1965) p. 246. ^ Cohen 1980, p. 46. ^ Cohen 1980, p. 49. ^ a b Cohen 1980, p. 50. ^ Leonard Shapiro, The Communist Party of the Soviet Union (Vintage Books: New York, 1971) pp. 175 and 647. ^ Cohen 1980, p. 51. ^ Cohen 1980, p. 53. ^ Cohen 1980, pp. 43–44. ^ a b Ulam, Adam Bruno (1998). The Bolsheviks: The Intellectual and Political History of the Triumph of Communism in Russia. Cambridge, MA: Harvard University Press. pp. 410–412. ISBN 0-674-07830-6. Retrieved 2011-01-26. ^ Rabinowitch, Alexander (2007). The Bolsheviks in power: the first year of Soviet rule in Petrograd. Bloomington: Indiana University Press, pp. 167, 174-175, 194 and passim. ISBN 978-0-253-34943-9. At the crucial meeting of the CEC convened at 3:00 AM, on 24 February 1918, few hours before the Gernan ultimatum was due to expire, Bukharin had the courage to break ranks and voted against accepting the treaty, while many other Left Communists either observed party discipline (V. Volodarsky and Stanislav Kosior, for instance) or were simply "no shows" (Dzerzhinsky, Kollontai, Uritsky, etc.) (p. 178). ^ Cohen 1980, p. 216. ^ Robert Service. Stalin: A Biography (2005) p 260. ^ McSmith, Andy (2015). Fear and the Muse Kept Watc, the Russian Masters - from Akhmatova and Pasternak to Shostakovich and Eisenstein - Under Stalin. New York: New Press. p. 131. ISBN 978-1-59558-056-6. ^ Mandelstam, Nadezhda (1971). Hope Against Hope, a Memoir, (translated by Max Hayward). London: Collins & Harvill. p. 113. ^ Mandelstam, Nadezhda. Hope Against Hope. p. 22. ^ Gorky, Maxim; Karl Radek; Nikolai Bukharin; et al. (1977). Soviet Writers' Congress 1934, the Debate on Socialist Realism and Modernism. London: Lawrence & Wishart. p. 233. ^ Medvedev, Roy (1980). Nikolai Bukharin, The Last Years. New York: W W Norton. pp. 85–86. ISBN 0-393-01357-X. ^ Medvedev, Roy. Nikolai Bukharin. p. 138. ^ Conquest, Robert. Stalin and the Kirov Murder. New York: Oxford University Press, 1989, pp. 122–138, ISBN 0-19-505579-9. ^ A. Yakovlev, "O dekabr'skoi tragedii 1934", Pravda, 28 January 1991, p. 3, cited in J. Arch Getty, "The Politics of Repression Revisited", in ed., J. Arch Getty and Roberta T. Manning, Stalinist Terror: New Perspectives, New York, 1993, p. 46. ^ Nicolaevsky, Boris. Power and the Soviet Elite, New York, 1965, pp. 18–19. ^ Radzinsky, Edward (1997). Stalin. New York: Random House. p. 358. ISBN 0-385-47954-9. Retrieved 2011-01-28. ^ Bertram David Wolfe, "Breaking with communism", p. 10; Arthur Koestler, Darkness of Noon, p. 258. ^ Robert Conquest, The Great Terror: A Reassessment, pp. 364–65. ^ Helen Rappaport, Joseph Stalin: A Biographical Companion (1999) p 31. ^ Report by Viscount Chilston (British ambassador) to Viscount Halifax, No.141, Moscow, 21 March 1938. ^ Robert Tucker, "Report of Court Proceedings in the Case of the Anti-Soviet "Block of Rights and Trotskyites", pp. 667–68. ^ Zhores A. Medvedev & Roy A. Medvedev, translated by Ellen Dahrendorf, The Unknown Stalin, I.B. Tauris, 2006, ISBN 1-85043-980-X, 9781850439806, chapter 14, p. 296. ^ Furr, Grover (2007). "Furr, Bobrov. Bukharin's 'Last Plea': Yet Another Anti-Stalin Falsification". msuweb.montclair.edu. Archived from the original on December 11, 2016. Retrieved December 11, 2016. ^ Alessandra Stanley (February 26, 1996). "Anna Larina, 82, the Widow Of Bukharin, Dies in Moscow". New York Times. Retrieved May 6, 2017. ^ Westley, Christopher (2011-03-30) A Bolshevik Love Story, Mises Institute. ^ Philip Arestis A Biographical Dictionary of Dissenting Economists, p. 88. Bergmann, Theodor, and Moshe Lewin, eds. Bukharin in retrospect (Routledge, 2017). Coates, Ken (2010). Who Was This Bukharin?. Nottingham: Spokesman. ISBN 978-0-85124-781-6. Cohen, Stephen F. (1980). Bukharin and the Bolshevik Revolution: A Political Biography, 1888–1938. Oxford University Press. ISBN 0-19-502697-7. Gregory, Paul R. (2010). Politics, Murder, and Love in Stalin's Kremlin: The Story of Nikolai Bukharin and Anna Larina. Stanford: Hoover Institution Press. ISBN 978-0-8179-1034-1. Kotkin, Stephen (2014). Stalin: Volume 1: The Paradoxes of Power, 1878–1928. Littlejohn, Gary. "State, plan and market in the transition to socialism: the legacy of Bukharin." Economy and Society 8.2 (1979): 206-239. Service, Robert (2004). Stalin: A Biography. ISBN 0-330-41913-7. Smith, Keith. "Introduction to Bukharin: economic theory and the closure of the Soviet industrialisation debate." Economy and Society 8.4 (1979): 446-472. Imperial Moscow University: 1755-1917: encyclopedic dictionary. Moscow: Russian political encyclopedia (ROSSPEN). A. Andreev, D. Tsygankov. 2010. pp. 108–109. ISBN 978-5-8243-1429-8. Fitzpatrick, Sheila. "The ABC of communism revisited." Studies in East European Thought 70.2-3 (2018): 167-179. Bukharin, Nikolaĭ Ivanovich. Selected Writings on the State and the Transition to Socialism (ME Sharpe Inc, 1982). Wikimedia Commons has media related to Nikolai Bukharin.